If you asked even the most knowledgeable Americans, they probably could not tell you more than a few meanings for the word “so.” It is an everyday word that most people use without even realizing its complexity. But this mysterious little word can act as an adverb, pronoun or conjunction, with many meanings as each. In all, there are more than 25 meanings for “so.” That’s one powerful word! Today, we will tell you about three phrases that English learners have trouble with: “so” “so that” and “so adjective/adverb that.” We’ll discuss each one then compare them. Let's start with “so” as a coordinating conjunction – a word that joins two or more things, such as sentences or other words. When used in this way, it means "therefore" or "for that reason." The apartment was too hot, so we opened the window. The first sentence provides the action or situation: The apartment was too hot. It is joined by “so” to the second sentence which explains the resulting action: opening the window. OK, now we move to “so that,” a phrase that begins adverb clauses. You may recall that an adverb clause shows a relationship between two actions. It joins a main clause, or complete sentence, to a dependent clause, or incomplete sentence, and shows how they relate. It helps to lower blood sugar so that you feel less hungry. The adverb clause is “so that you feel less hungry.” It shows the purpose for the action in the main clause. Why does it help to lower blood sugar? To feel less hungry. So that you feel less hungry, it helps to lower blood sugar. It helps to lower blood sugar so you feel less hungry. It helps to lower blood sugar so you can feel less hungry. 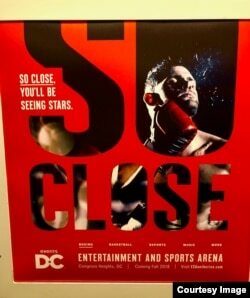 A Metro advertisement in Washington, DC, uses one of the phrases from today's program. Do you know which it is? Can you understand the meaning? This morning, the construction was so loud that we could not sleep. This means that the construction was loud to a level that prevented us from sleeping. In the phrase “so adjective/adverb that,” the word “that” begins a type of clause called a “complement clause," but we will not talk about that in today’s program. This morning, the construction was so loud we could not sleep. He is funny, so his friends laugh at him. He makes jokes so that his friends will laugh. This means: He makes jokes for the purpose of making his friends laugh. It answers the question, “Why does he make jokes?” Notice the modal “will” in the adverb clause. He is so funny that his friends laugh at him. It means: He is funny to such a level that it makes his friends laugh at him. She studied hard, so she was able to win a scholarship. She studied hard so that she could win a scholarship. She studied so hard that she won a scholarship. This means: She studied hard to such a degree that she won a scholarship. You probably noticed that some examples other than those with “so that” have modal verbs. All three of today’s phrases can have modals, but “so that” adverb clauses commonly have them. Well, we’re so happy that you stayed around for today’s program. Don’t forget to do the practice so that you can remember what you learned! Rewrite each example with a "so" phrase from today’s program. If an example is two separate sentences, make it into one sentence. I woke up early, so I went to the market. Don't Be Afraid of Contractions!